The Salt Is looking great!!!! Land speed racing’s premier sanctioning body, the Southern California Timing Association along with Bonneville Nationals Inc., is holding its largest event of the season, the 70th Annual Speed Week at the Bonneville Salt Flats in Utah. The salt conditions are reported to be excellent this year with 4 courses groomed and ready. With close to 400 vehicle entries, Speed Week is drawing teams from across the globe. Already pre-entered are teams from 15 countries including Australia, Canada, France, Japan, Russia, Ukraine, Sweden, New Zealand, Scotland, Isle of Man, Belgium, Italy and the United Kingdom along with hundreds from across the United States. Entries vary from four-wheeled streamliners with speed potential over 400 mph to vintage 50cc motorcycles that struggle to reach 50 mph. Every vehicle is unique and represents the universal hot rod spirit. 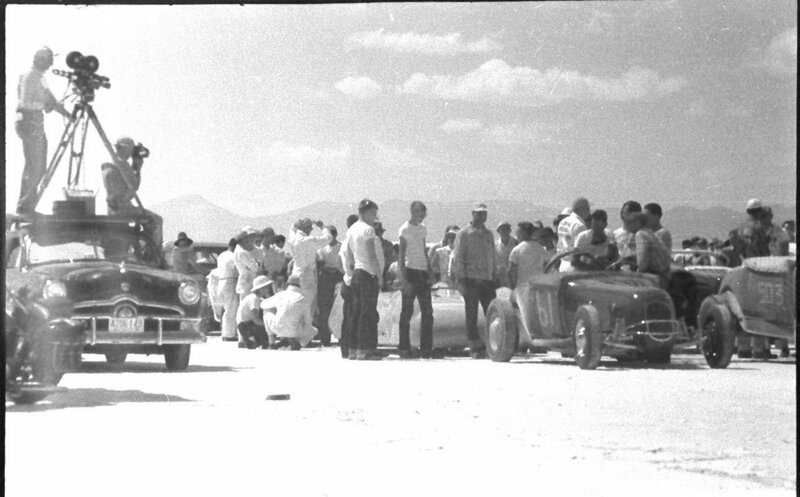 Every team hopes to establish an official SCTA Bonneville record in one of the multitude of classes available. Speed Week 2018 is held on the Bonneville Salt Flats, only 2 hours from Salt Lake City and just 15 minutes from Wendover, Utah, on the I-80 national highway. The facility is easily accessed from the Bonneville Speedway exit. Entry is available on site with $20 day passes. Week passes cost just $50. Spectators, racers and crews are supported by a variety of local and out-of-state vendors offering food, drinks, racing safety equipment, sunglasses and more. The SCTA-BNI sells their exclusively-branded merchandise and souvenirs at the event and on their SCTA-BNI website. Specific details for the event, including up-to-date event status, maps, schedules and general information can be found at www.scta-bni.org. After the past few years of rains and bad track conditions I felt it maybe nearing the end for the old mistress we call Bonneville. I had numerous emails and words from SCTA that this may be the best track in years if not a decade! If you ever planned on fulfilling your bucket list and going , this will be the year one would think and if your not sure weather to thrash out on a car and get there , you better get back in the garage and offer your soul to the gods of speed as it looks like they are shining a light on us . Recently they were out there scraping the track and marking courses and though its thin , the salt is looking very smooth. This is awesome news for everyone after the lumpy course of last year. The Hop Up crew will be out there lending a hand with SCTA again as well as crewing with a few of the Bean Bandits and the San Diego Roadster Club. Weenie roast at the bend in the road and Margaritas by Vintage hammer, and hell maybe we can get Andy Kohler to pick up the guitar again and pick out some tunes. I think he played for 4 hours straight last year , it was awesome! Keep your fingers crossed boys and girls and see you on the salt! !